Cork oaks (Quercus suber) are common in northern Sardinia. 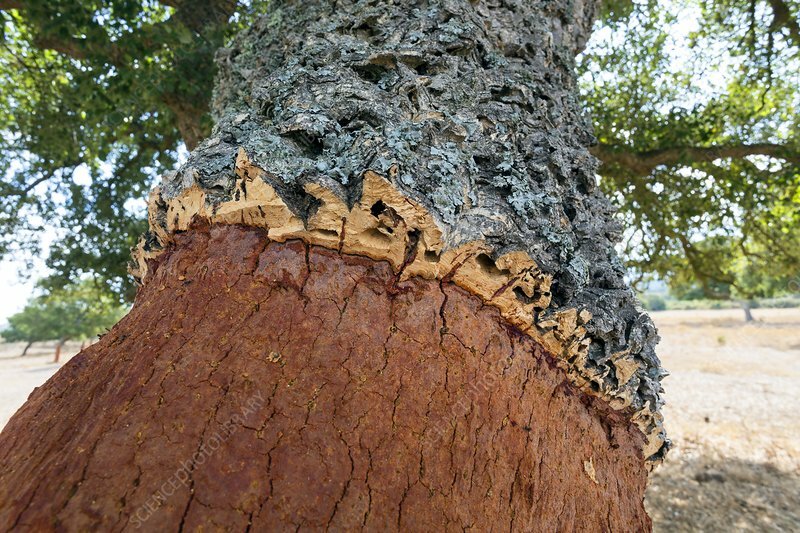 The bark is harvested approximately every 10 years for cork production. Trunks which had their bark more recently removed appear reddish.